And welcome to the New Hampshire Estates ES / Oak View ES Joint PTA! Thank you in advance for getting involved! It makes a difference when you come to the meetings, volunteer to help with a program, and become a part of the school community. It is also a great way to have a voice and contribute to your child’s education, making your experience at our schools most meaningful to you and your family. How can you help make the NHE/OV PTA successful? Volunteer! – There are many opportunities for you to volunteer and make a difference at your child’s school. Contact Kate Waterfall to get involved. 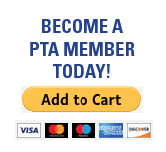 Join the PTA! – Please join the NHE/OV PTA and help our programs and events to continue. Join via PayPal or download a Member Form. Attend PTA Meetings!—We want to hear from you about what is the best way our efforts can support our schools and enhance learning. Everyone is welcome to join us at our PTA Meetings. Watch our PTA Calendar for upcoming meetings and events. Our first meeting will be Tuesday, September 11 at 630pm at Oak View ES. Join The PTA Email Group List! Click here to join with your yahoo email account. Click on “Join Group” and complete the online form. If you do not have a yahoo account, send a blank e-mail to: nheovpta-subscribe@yahoogroups.com. You will receive a confirmation e-mail from the group. You must reply to the confirmation e-mail to activate your subscription. We do our best to send bilingual emails in Spanish/English.